The United Kingdom was supposed to leave the European Union by March 29, but UK Prime Minister Theresa May agreed Thursday to yet another delay, this time until Oct. 31. The further delay comes after an initial extension pushed Brexit back from March 29 to April 12. As May’s government failed to achieve any consensus within those two weeks, the UK would have left the EU without a deal on Friday. However, May says she hopes her country can figure out Brexit before the six-month deadline and leave as soon as possible, reported BBC. She had requested a shorter extension until June 30. She initially stated that she would not delay Brexit at all, before requesting the April 12 extension and then changing her position to June 30. The dragging out of Brexit comes after May declared that “Brexit means Brexit, and we’re going to make a success of it” July 11, 2016, when she was leader of the Conservative Party. 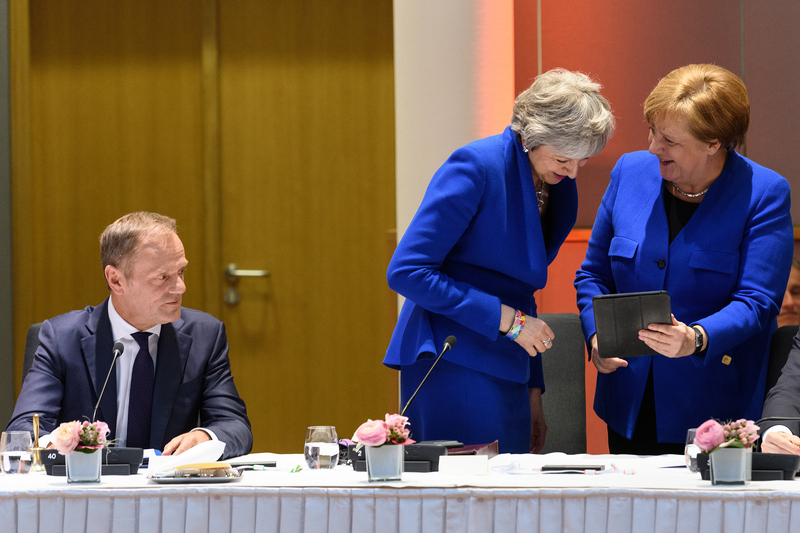 Her decision to delay a second time ahead of Friday’s deadline came after an emergency EU summit in Brussels. Getting the UK Parliament to rally behind a Brexit deal seems all but impossible after multiple defeats in the House of Commons, including a Jan. 15 vote in which May’s deal was rejected by both pro-Brexit and anti-Brexit members of Parliament in a record-setting defeat. Even though May technically has until Oct. 31, other dates before then could play into the UK’s departure. The EU expects the UK to hold European Parliament elections May 22 even though May does not want the members to take their seats with the others on July 2 if she can get her Brexit deal through before then, reported The Guardian. May hopes for help from the UK’s socialist Labour Party to complete Brexit, though this likely means that Brexit’s final form will be heavily watered down, a scenario called a “soft” Brexit. Several Tory Brexiters, including May’s former Brexit secretary David Davis, have floated the possibility of her resignation after the Brussels summit, reported The Guardian.